I have lost weight. I’ve lost a lot of weight. I’m still utterly amazed and very, very happy. I’ve spent the past two weeks or so lamenting my woes to poor Georgie. First there was the week when I did absolutely everything right and lost nothing, and then there was the week when I fell into a vat of carbs for two days around Dave’s birthday and gained a pound (totally okay with that… I had expected more) and then the scales didn’t move. 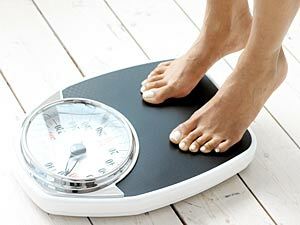 (Yeah, I’m guilty of hopping on the scales all too frequently at the moment.) I’ve been keeping going, just taking each day as it comes and trying to do my very best, but the level of angst and whinge was rising to worryingly teenage levels. Well, there’s no need for any more angsting from me! Hello Ang, you somehow found and liked (thank you :-)) a post of mine and I decided to ‘follow you home’! Thanks for stopping by, Janet! I think I was googling for primal versions of Nigella’s recipes when I came across your blog. Ha. It’s an investment that eventually paid off. I’m glad it was able to be of help!